Invention and reinvention were some of Prada’s keywords for the brand’s new collection. Classic silhouettes were refreshed for the new season. 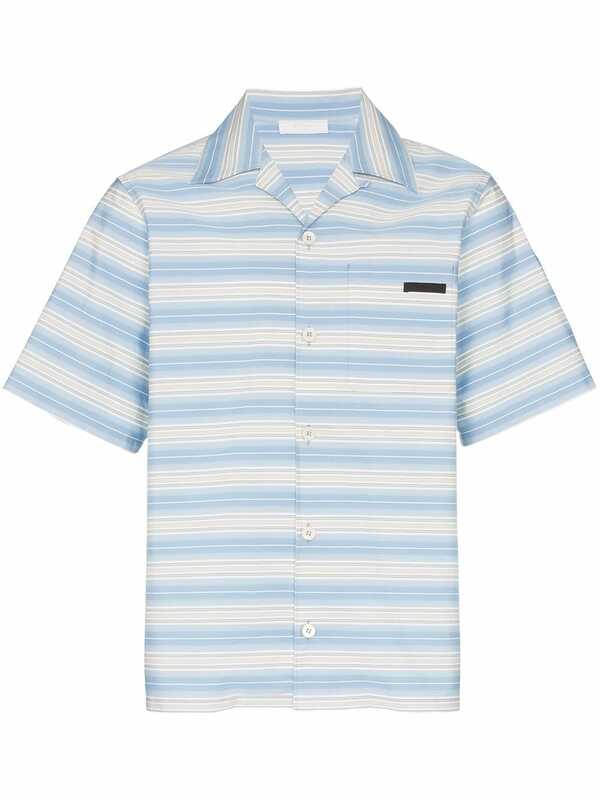 These blue and white logo tab cotton shirt from Prada features a striped pattern, a spread collar, short wide sleeves, a front button fastening and a boxy fit.